These stuffed biscuits are easy and fun to make. 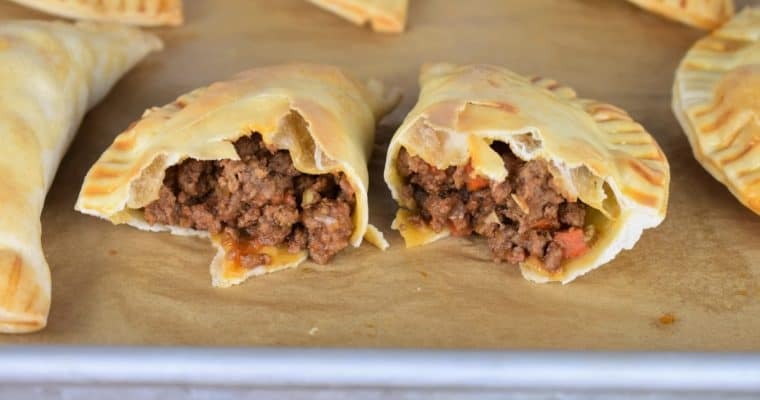 Refrigerated biscuits are stuffed with a delicious ground beef mixture that flavored with onions, garlic, spices and olives. They’re perfect for busy nights when a sit-down meal is almost impossible. If you have any stuffed biscuits leftover, they reheat really well and make a great lunch. Just wrap them in a paper-towel and heat in the microwave for 30 seconds or so. Enjoy! Heat the oil in a large, deep skillet over medium heat. Add the onions and cook for 3 minutes until they start to soften, stirring frequently. Add the garlic and cook 1 minute, stirring frequently. Raise the heat to medium-high and add the ground beef, salt, oregano, cumin and black pepper, stir to incorporate all of the ingredients. Break up any large pieces of beef with a wooden spoon or spatula. 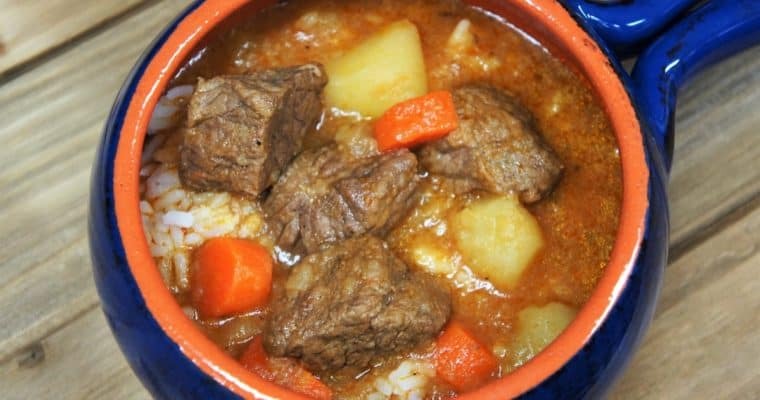 Cook the beef for approximately 5-6 minutes to brown, stirring frequently. Add the tomato sauce and chopped olives to the skillet, stir to combine. Lower the heat to medium-low and cook another 10-15 minutes, stirring occasionally. Taste the meat and add salt, to taste only if needed. Once the meat is done cooking, remove from heat and allow to it to cool. Line a baking sheet with parchment paper to avoid sticking and easy clean-up. Prepare the egg wash: crack the egg into a small bowl, add about 1 tbsp. of water. Beat with a fork until scrambled. Flatten each biscuit to into approximately 6 inch rounds, about ¼ inch thick. This can be done by rolling the biscuit out lightly. Use a little flour on your work surface and rolling pin to prevent sticking. Working with one biscuit at a time, add 2 heaping tablespoons of the meat mixture, a bit off center. Using a pastry brush moisten the edges around the biscuit with the egg and fold it in half, making a half moon. Pinch and fold the edges over to seal tightly. Brush the biscuit with the egg wash. Repeat until all of the biscuits are stuffed. Using a knife tip, cut three or four small slits in the middle of each biscuit. Bake the biscuits for 12-17 minutes or until they are a golden-brown color. Keep an eye on them after 10 minutes or so, and continue baking until the desired color is reached.